Lesley is the principal and co-founder of the award-winning architecture and design firm STUDIOKCA. 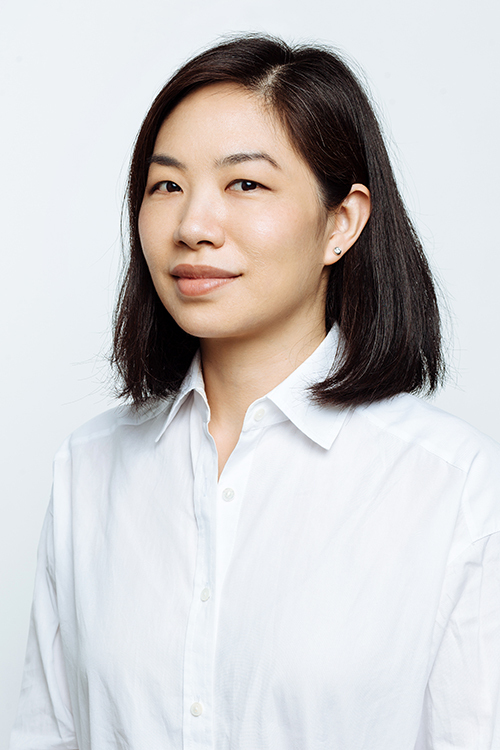 She received her Bachelor of Arts in architecture from Columbia University and her Master in Architecture from Harvard University’s Graduate School of Design. While in graduate school she trained in offices of Pei Cobb Freed & Partners and at Marpillero Pollak Architects, working on projects including the United States Air Force Memorial in Arlington, VA with James Ingo Freed. She then furthered her training at Steven Holl Architects and at Gensler as a designer and project architect on projects including New York University’s Department of Philosophy building, Herning Museum of Contemporary Art in Denmark, Tadao Ando’s Clark Art Institute in Williamstown, MA, and the HBO headquarters in NYC before cofounding StudioKCA with Jason Klimoski. Her work has been exhibited at The Huntington Library, Art Collection, and Botanical Gardens in California, and at the Intrepid Sea, Air and Space Museum where she also gave a lecture on her design work and her experience in the architecture profession. Her work has been featured in publications such as Interior Design, New York Magazine, Wallpaper*, and The Wall Street Journal.